Hen night events in Windsor are growing in popularity and whether you are from Windsor or just wishing to hold your Hen Do or Stag weekend in Windsor then read on to find out why a Treasure Hunt is the perfect activity for you. Photo below: The Hen getting to know some locals! Windsor Castle and Legoland Windsor are probably the most well known things about this Royal town in Berkshire, plus the famous Public School Eton, Savill Garden, Windsor Great Park, Ascot races ... what better place to hunt for treasure! Legend has it that Windsor Castle was built on an encampment that belonged to King Arthur, legend apart though, the castle can be traced back to Norman times. It was built from stone in the 12th and 13th centuries and enlarged, including being almost totally rebuilt in the mid 14th century. The original Saxon settlement was at Old Windsor because of the river. William built the Castle on an escarpment at Clewes, and the 'modern' town of Windsor developed around that. Apparently, in the 14th century, there was a ridiculous number of alehouses given the small population. Modern day Windsor has more people and offers plenty of spots for use as a stag or hen 'watering hole'. It has a lively nightlife with trendy bars, clubs and pubs. During the day, complement your paintballing or karting with a treasure hunt, in fact, a treasure hunt would be the perfect way to get your stag party going. 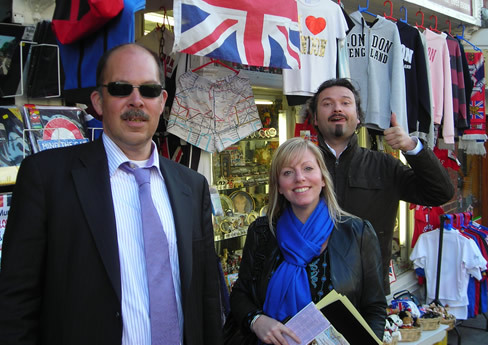 It is fun and sociable and would enable those who don't know each other to get acquainted - there is no hiding during a treasure hunt in Windsor, it needs everyone to take part the whole time. Likewise for a hen do, Windsor holds a lot of interest. For those of you wanting a rowdy and raucous hen event, there are the bars and the clubs, you will probably come across a stag group or two as well ... imagine the fun! Or for a more refined hen weekend, Windsor has good shopping and pampering plus decent restaurants and cruises. But probably not all of the hens in your party will know each other so what better way to get them to gel than a treasure hunt, or maybe it could be a fun way to recover from the excesses of the night before. Windsor has seen its fair share of disorder and violence over the years, hangings during the Dissolution of the Monasteries, a jail-break where those caught were either killed on the spot or hanged, rioting in the civil war, the Eton boys inventing the game of Rugby and now the skirmishing during your treasure hunt!! We hope not!! Our treasure hunts have no fixed route so you can start and finish your hen treasure hunt at the Derby venue of your choice and whether you are a large party or a smaller more intimate group we can tailor a stag or hen event just for you. Unlike other treasure hunts, we can and will personalise yours however you like (providing the requests are for legal activities of course!! ), all we need are some photos and anecdotes about the stag, hen or other members of the party. You will not only have a great day to remember but our events are designed to ensure that you will also have some fabulous photos to remind you of your Windsor Stag or Hen weekend. 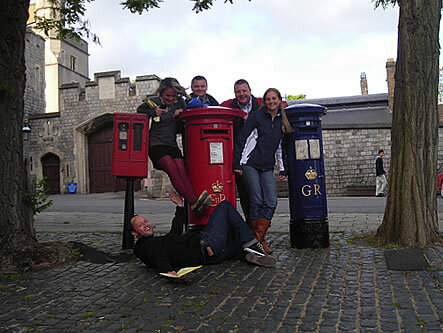 To see all that Windsor has to offer book your Windsor Stag or Hen Party Treasure Hunt now.